If you were injured at work in the Atlanta, Georgia area, our Work Injury Attorneys can help with your case. Georgia Workers' Compensation laws were created to provide money and medical benefits to a worker who suffers an injury as a result of an occupational accident; our Atlanta Work Injury Attorneys can help you better understand you work injury rights. The system was established to protect employees from what could happen if an injury, or even death, occurs from their employment. In order to protect the legal rights of someone who is injured on the job, many complicated legal issues must be considered and adequately addressed. This includes being compliant with a large number of time sensitive deadlines, as well as, knowing how to handle insurance companies. Hiring an experienced and dedicated Workers' Comp Attorney in Atlanta will help ensure that your worker's compensation claim does not get denied by the insurance carriers. More often than not, insurance companies are reluctant to offer an injured employee the compensation they deserve, for many different reasons. Insurance companies are often wary of fraud, which can occur if an employee makes a false or exaggerated claim, or they could refuse to pay because it is simply not in their financial interest. Your employer might deny they claim as well because they do not want their premiums to increase. With the help of one of our expert Atlanta Personal Injury Lawyers, you will have a much greater chance of receiving the benefits you are entitled too after being injured in a work-related accident. Our attorneys will gather evidence, such as medical records, safety reports, and speak with any potential eyewitnesses to your accident. If your claim is denied, an attorney from our office may be able to file an appeal demanding that you receive the benefits you deserve. Overexertion: This is arguably the most common work-related injury. This injury is related to any pushing, pulling, lifting, holding, carrying, or throwing. Repetitive Motion: Repetitive motions such as typing on a computer can strain the muscles and tendons causing Carpal Tunnel Syndrome, vision problems, and back pain. Slip and Fall: These injuries can occur by slipping on a wet floor, walkways, or tripping over objects. Vehicle Accidents: Just like anyone, being involved in a motor vehicle accident such as a truck or car accident while working are all too common. 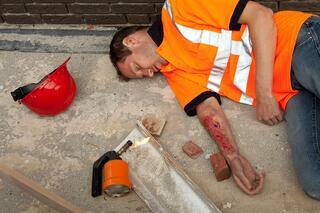 If you are injured in an accident at work, you should notify your supervisor, boss, manager, etc. There is a 30-day duration in which you must report your injuries; however, it is best to report your accident immediately because the longer you wait insurance companies can begin to question if your injuries actually occurred while on-the-job. Always consider that your accident doesn't become the responsibility of your employer until they are notified of your injury. Once your employer is informed, it is their duty to document the injury and begin the benefits process, submitting a claim to their workers' compensation insurance company and notifying Georgia's board of worker's compensation. When you suffer an injury at work, your employer should have a posted panel of at least six approved doctors you may choose from to treat your injuries. You may select any doctor on that list for treatments but are restricted to this list of physicians. If you want your medical expenses to be covered in your workers' compensation claim, then you must be seen by a workers' comp doctor. If you employer fails to post a group of physicians, you may pick a doctor of your choice. Unfortunately, some doctors are more concerned with getting you back to work than being certain you are truly well. If you feel like your injuries aren't taken seriously than you have the right to choose a different doctor on the list. Your workers' comp doctor should be concerned about your recovery and health not just your return to work. On the other hand, if you've chosen a doctor and feel your injuries are being handled appropriately and professionally, you're obligated to follow all medical advice and treatment recommended by your physician. If you fail to follow your doctor's instructions or consecutively miss scheduled appointments, your workers' compensation claim may be denied. 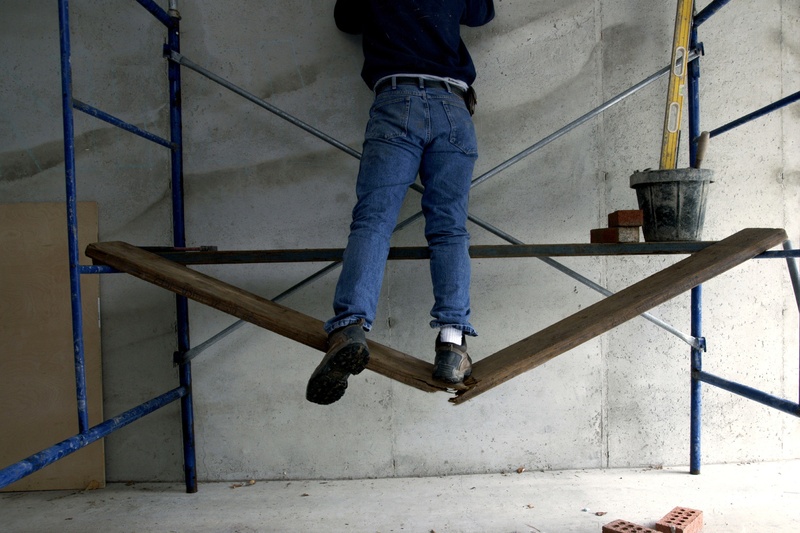 There are cases when an employee's injuries will not be covered by workers' compensation benefits. For example, If the employee failed to follow the employer's safety rules or policies, drug or alcohol use, or willful misconduct, played a role benefits may be denied. The employer or insurance company may also try to argue that a worker's injuries existed before the accident. None the less, Georgia law allows injured employees to recover for aggravation of the pre-existing condition. So, even if you have hurt the same part of your body previously, you still have the right to recover for a re-injury sustained in a new work-related injury. An experienced Atlanta Workers Compensation Attorney will help determine whether or not you can receive any additional compensation through a third-party lawsuit if someone other than your employer is to blame for your injuries. It is paramount you file your claim as soon as possible after the accident occurs. If you fail to comply with the deadlines, you could lose your chance compensation for your injuries. Working closely with your attorney will prevent you from missing deadlines and ensure that the proper documentation is filled out correctly and promptly. We have a highly experienced legal team that is ready to assist you with your Workers Compensation case. Our Work Injury Attorneys in Atlanta, Ga believe that you are entitled to workers' compensation benefits and are offering you a free case review with one of our work injury experts. If you have been injured on the job, do not hesitate to call. Click On The Link Below For A Free Case Review!